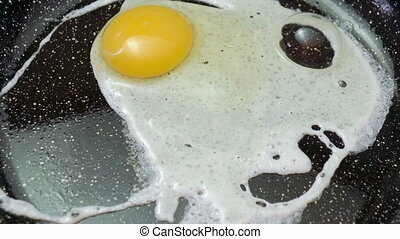 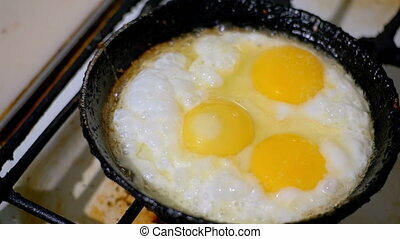 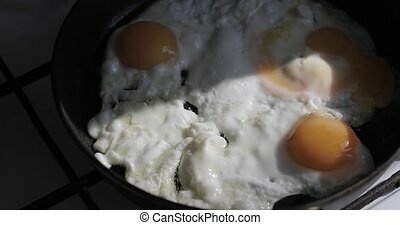 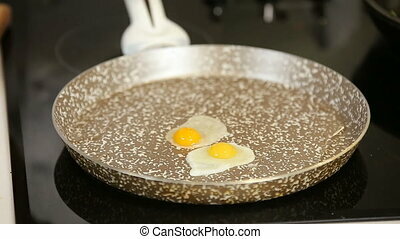 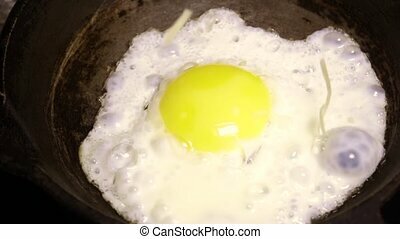 Fried eggs prepared on a frying pan. 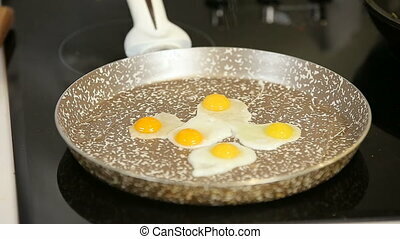 Fried eggs fried in a skillet on the home kitchen. 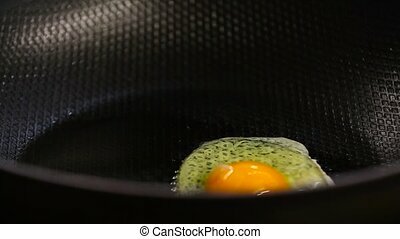 appetite three fried eggs prepare at home on the kitchen stove. 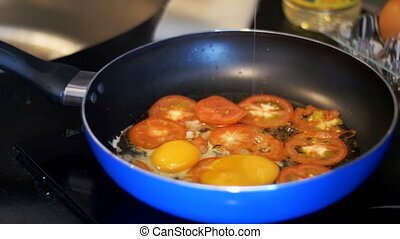 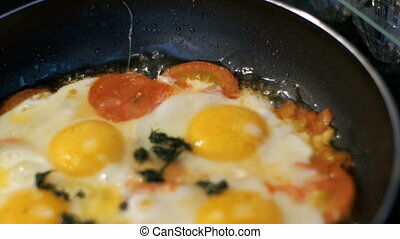 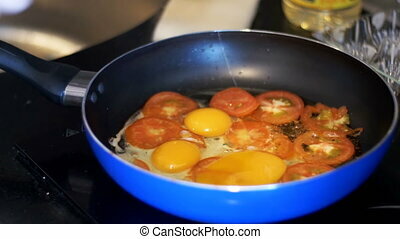 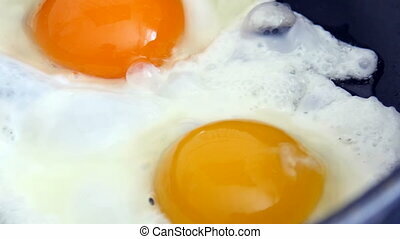 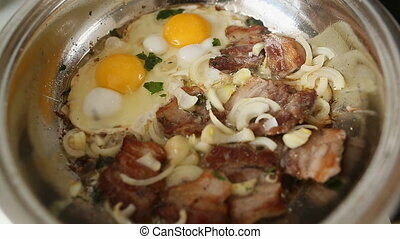 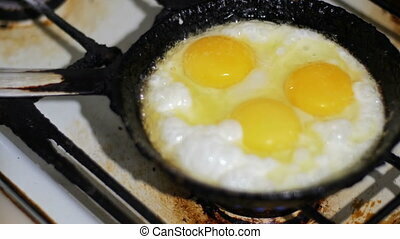 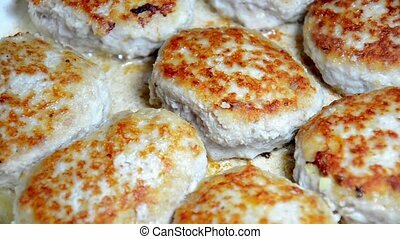 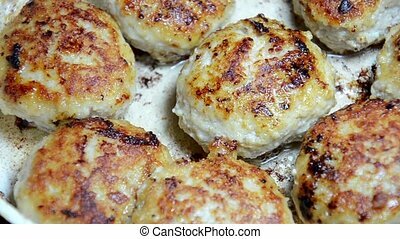 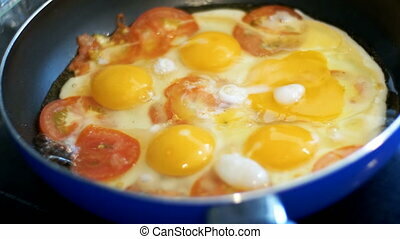 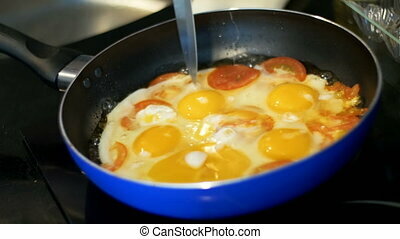 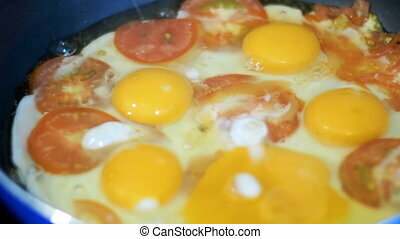 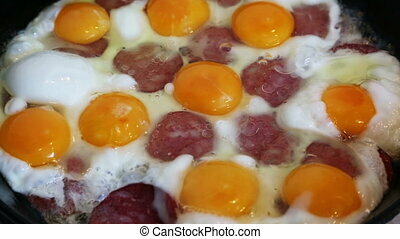 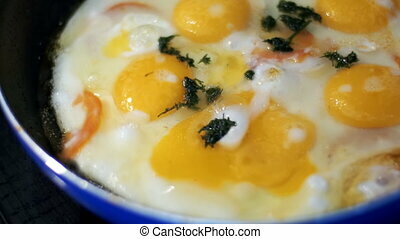 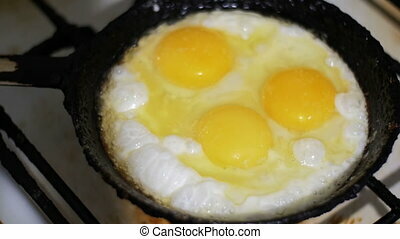 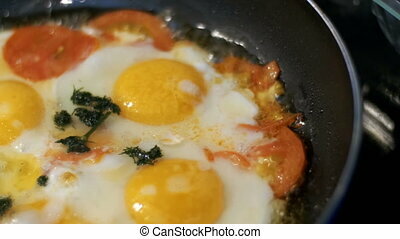 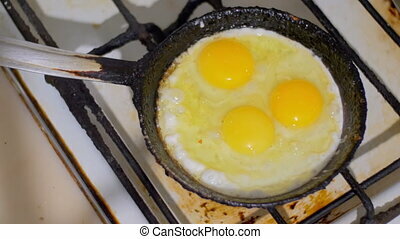 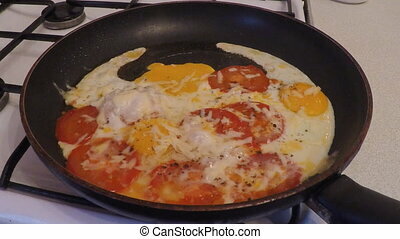 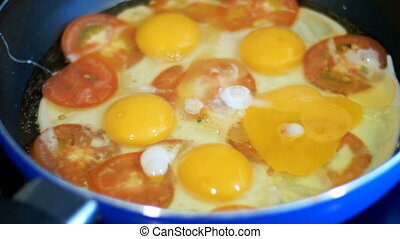 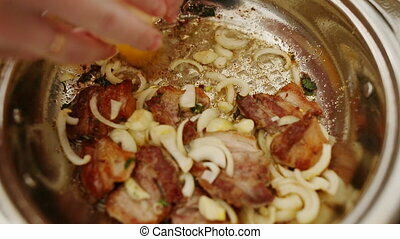 in a skillet prepare eggs.